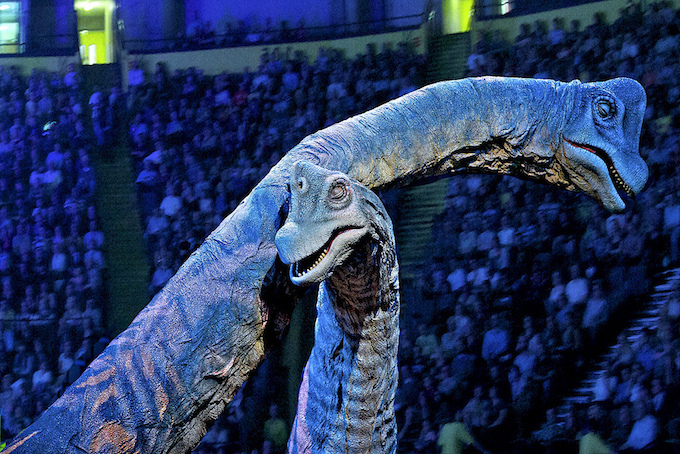 A critic-proof show if there was one, all that remains for a reviewer to do is point out that Walking with Dinosaurs – The Arena Spectacular is back and then let the ticket buyers do the rest. Despite having been seen by a reported 7.3 million people, this was my first visit to Walking with Dinosaurs. 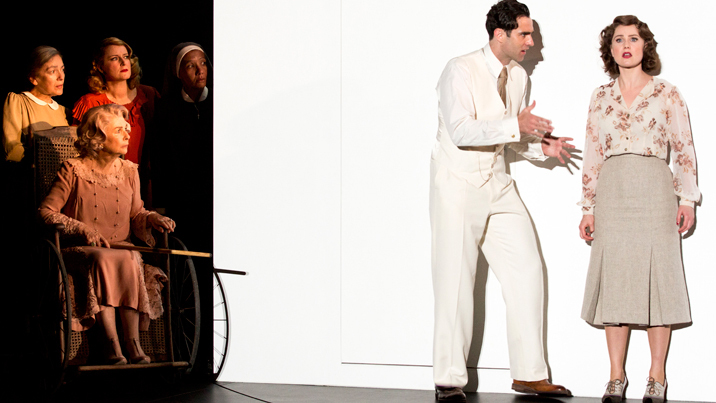 Fortunately, I had an expert guide in young Master Ten, aka Nephew in Chair, who gave the show a resounding A+. A show that can really only be experienced live, the miraculous aspect of the puppetry (if that is even the right word) is the incredible range of expression and movement that the dinosaurs can achieve. 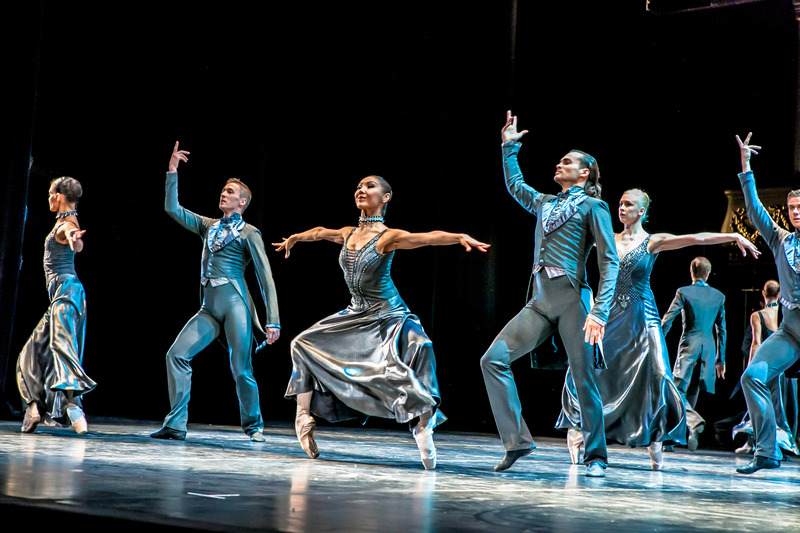 Physical and facial movements are extraordinarily graceful, achieving a fluidity that belies any of the mechanics involved. 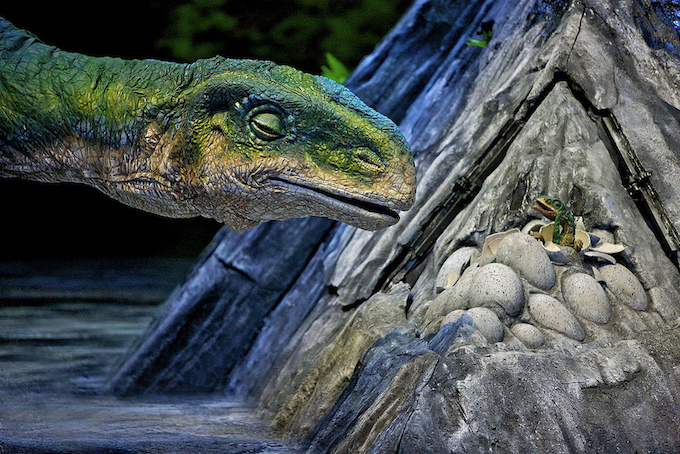 The production design makes ample use of the broad playing space, which is impregnated with all manner of hidden vegetation, flora, dinosaurs and their eggs. 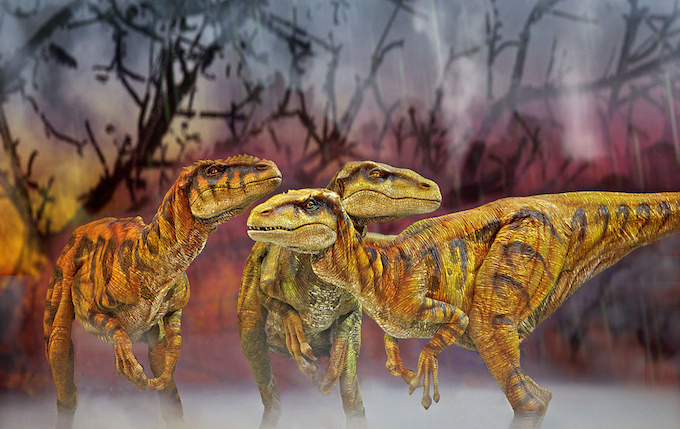 Under the running commentary of an enthusiastic paleontologist, the history of the rule of the dinosaurs unfolds in a neatly paced way that builds to the climactic arrival of everyone’s favourite, the mighty Tyrannosaurus Rex. 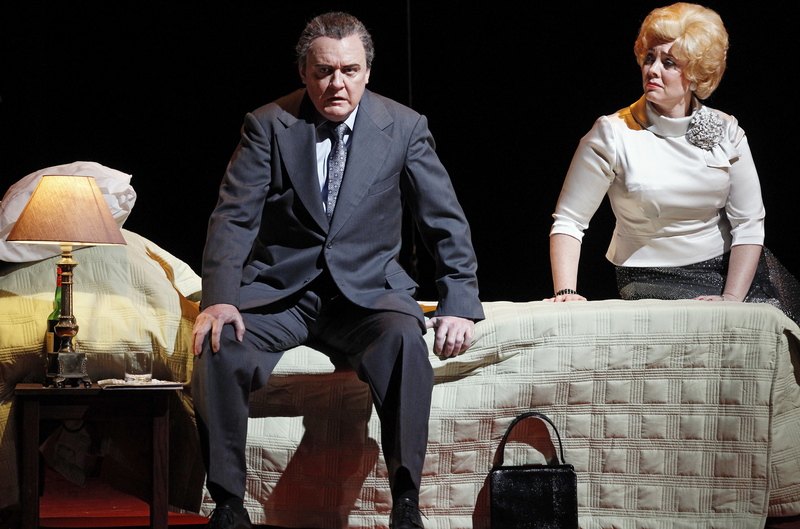 The musical soundtrack adds atmosphere and tension, and lighting is reliably impressive. The rear screen is put to great use in an elegant sequence showing the flight of a Pterosaur. The script contains plenty of interesting scientific information, the inclusion of which is a reflection of the lack of Disneyfication overall. A few jokes for the parents aside, the show tales itself seriously, and its content stands up to this approach magnificently. The pace is a little ponderous at times, but there is so visual appeal to absorb that the extra viewing time is appreciated. 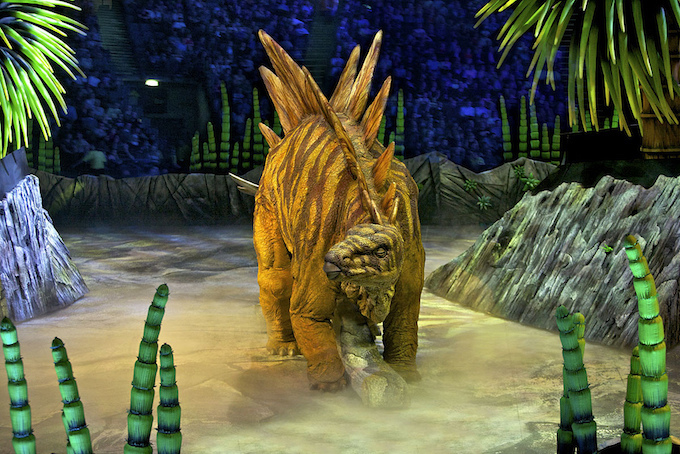 Blue chip family entertainment, Walking with Dinosaurs more than lives up to the hype. 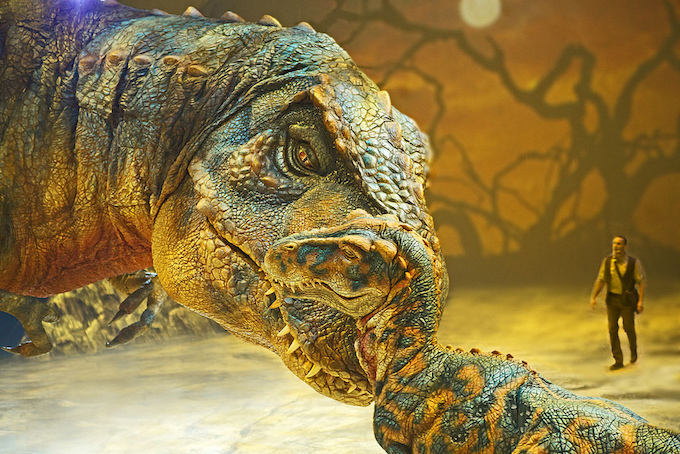 Walking with Dinosaurs plays at Hisense Arena until 29 March 2015 before touring to Brisbane, Newcastle, Perth and Adelaide.